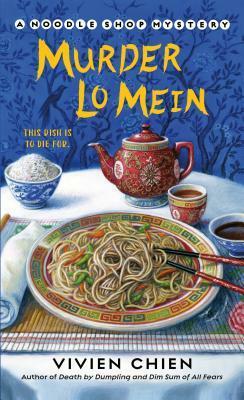 Murder Lo Mein is book 3 in A Noodle Shop Mystery series. If you're looking for a Cozy Mystery that's diverse, has a great whodunit, and will have you craving delicious food, look no further. This series has me addicted and I'm making grabby hands for the next book. Our leading lady, Lana Lee, is now the manager of her family's restaurant Ho-Lee Noodle House. This time around the restaurant has entered into Cleveland’s Best Noodle Contest and everyone is a bit nervous and hoping to take home the win. After taking the first win in the contest, it doesn't take long for the mystery aspect to kick in when one of the judges is murdered. They decide to continue with the contest while Lana's boyfriend Detective Adam Trudeau is on the case to figure out who the killer is. Lana can't help herself though and decides to poke around to try to solve it herself. When another judge is killed and no real leads in sight, everyone is on edge. Lana has to figure out who is behind the murders before she's next on the list. 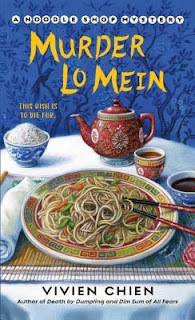 Murder Lo Mein is great follow up to a delightful series. I'm loving Lana's character and most of the secondary characters as well. The whodunit aspect was well done and I was questioning who the killer was while reading. All in all, if you're looking for a cozy mystery you won't want to put down check this series out.